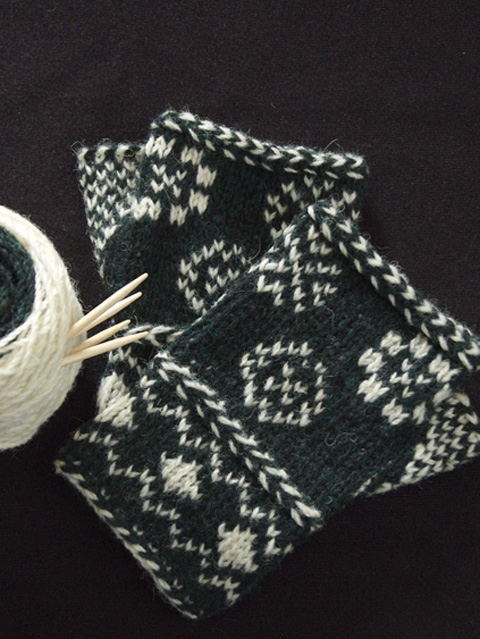 In Sweden, as long ago as the 17th century a form of knitting was practiced called tvåändsstickning, or two end knitting. 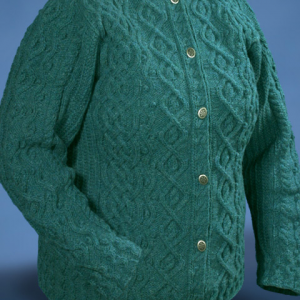 Using a strand from each end of a center pull ball of yarn (wound of either one or two colors of yarn), the created fabric has great warmth, strength, and durability, as well as elasticity which approaches that of spandex! 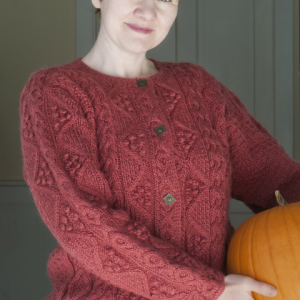 This technique takes some patience and effort to master, but will soon reward the tenacious knitter with ease, moderate speed, and lovely garments. 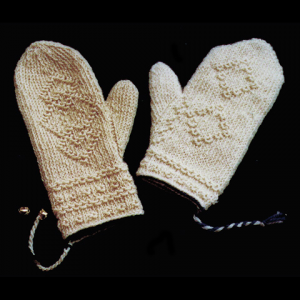 Motifs of the Dalarna jackets (19th to 20th century) with twined knitted sleeves serve as my inspiration for the “snowflakes” in these mitts. 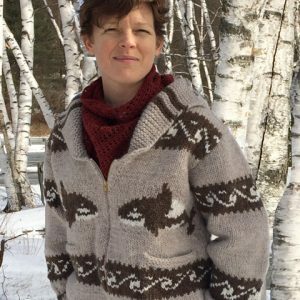 If you live in the EU, please go to this website to purchase this pattern. Thank you! You can purchase the kit in Beth’s Etsy Shop by clicking here! Yarn: 1 100g skein (220 yards) in each of two colors of Aran yarn or heavy worsted weight yarn. Don’t use single ply yarns–they will pull apart!